In Maai Mahiu, many women and children live in unhealthy and dangerous environments. Prostitution is one of the primary sources of commercial business because of the location and immense poverty. Unfortunately, orphans, vulnerable children, and widows are among the most affected. Nothing these vulnerable people have done has caused their situation, yet they are in desperate need. Together with our wonderful partners at Rift Valley Hope, His Voice Global has seen God move in powerful ways in Kenya. Through the hard work of RVH leaders, safe houses have been established for the protection and care of at-risk girls, boys, and women. After completing our Foundation of Hope theological and leadership curriculum, the staff of Rift Valley Hope introduced the study to others so that sixteen community leaders recently completed their course work. They are now better able to make disciples of Jesus and equip their own communities in the work of restoration, rebuilding, and renewal. 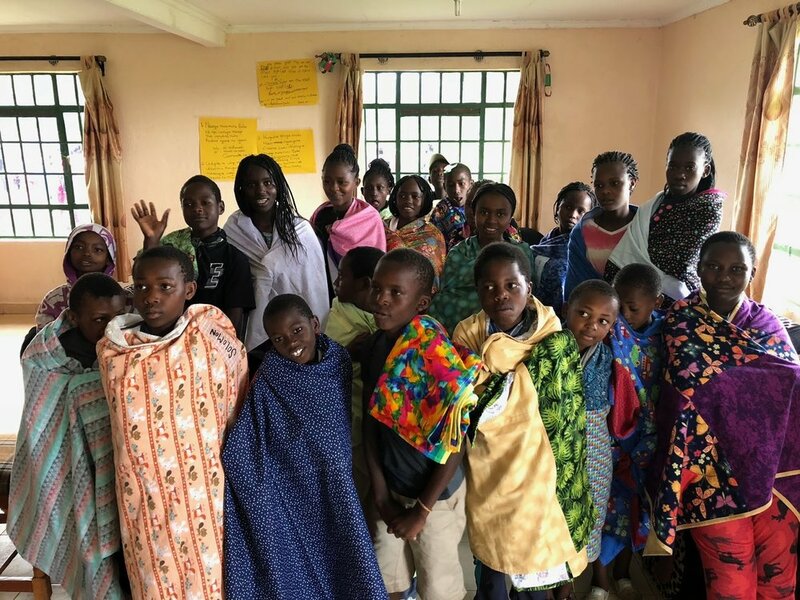 In conjunction with our partner the Rift Valley Hope, His Voice Global desires to rescue those at risk from dangerous environments and broken relationships, while providing a place where a Circle of Care is present. For young girls, this is a part-time home called Lulu Place, and for the street boys, Way of Hope Home. The Women of Courage ministry provides community and economic opportunity for widows. These environments allow the restoration of their broken relationships with God, themselves, others, and creation. His Voice Global offers a Circle of Care to parents or guardians of the girls and boys that desire to be reunified. Through on-going, holistic discipleship, they grow to love God and others. They are also encouraged to reengage and heal relationships. The widows receive long-term, holistic care as well. We know God desires to see families unified and strong. Because of this, economic opportunity is provided to parents or guardians of a child in our care. This allows families to become self-sufficient. Widows create self-sustaining income by working together to produce products for sale in the community. As the children and guardians grow in Christ, they step out to renew relationships in Maai Mahiu and engage others to share God’s love and truth. These disciples make other disciples, and, over time, their eyes are opened to the brokenness in their community and country. They desire to work to heal these and see their community renewed. The Gospel of Jesus is the foundation of the transformation described above. His Voice Global provides theological and leadership training through the Foundation of Hope curriculum with our partner, Rift Valley Hope in Maai Mahiu, as well as to other Kenyan church leaders. This prepares them to equip their congregations for the work of restoration, rebuilding, and renewal.